Communication is an essential part of what makes your business a success, and that’s why having the right telephone system in place is so important. It’s also why Rhyme offers a complete lineup of IP, SIP, Digital and Digital Enhanced Cordless Telecommunications (DECT) phone models that are designed to meet the specific needs of your business. Rhyme can create customized communication solutions for our customers that leverage today’s best technologies. 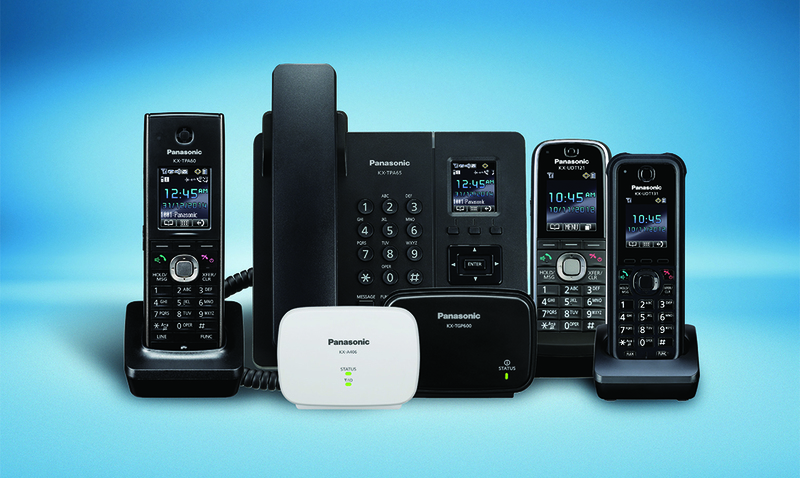 Using a combination of advanced telephony products along with other IP-enabled applications, products from Panasonic provide richer, fully-capable business communication solutions for your business today. Contact a Phone Specialist today to learn more about our offerings and how we can work together to build the perfect solution for your business! The innovative KX-HDV series of SIP desk phones brings you exceptional communication performance, faultless reliability and long-term cost savings in one complete package. Able to connect to multiple lines while offering crystal-clear HD voice, bright LCD technology and certified with BroadSoft™ and Metaswitch Networks®, this world-leading and versatile range now boasts touchscreen capability and desktop video communication. OnSIP is a business phone service delivered over the Internet. There are no contracts or commitments, so no decision is ever permanent. This type of service is perfect if you have multiple offices or any type of virtual office. Users log in anywhere they have an Internet connection and are then able to make phone calls and receive extension calls as if they were in the office. OnSIP works with any SIP-compatible phone. Rhyme will work with you on your current SIP phone, or we will upgrade you to a new system. There are two simply priced options for this service, the pay-as-you-go plan or per seat metered plan. Whichever one you choose, you’re guaranteed a reliable phone service.